to Costa Rica with MyUS. Not shipping to Costa Rica? Kudos to your company. FINALLY...a company that understands customer service...YEAH. I am telling everyone about you. Thanks so much. 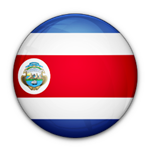 You will need to pay Costa Rican tax on the items you ship from the US. Duties and taxes are not included in your MyUS shipping costs and you may need to pay these charges when your parcel is delivered. You can view free pictures of your purchases from your phone with our free MyUS app. If any merchandise is damaged, we help you return it for a refund before it ships to you. Your packages are processed for import within 24 hours of arrival at our facility. You can view your MyUS suite and schedule deliveries right from your phone. Download the MyUS International Shipping App today. Our expert customs team reviews every parcel received at our facility for products that require special permits or packaging. If any additional steps are required for safe and legal shipment, we can make it happen. That's it! In just a few days, you'll receive your new US merchandise. Don't go without the real, authentic American goods you want any longer. Join MyUS for fast, reliable and affordable shipping. Shop confidently from thousands of stores like these, knowing you’ll receive the real-deal American merchandise you love. With this much selection, finding everything on your shopping list is easy. We ship to many other Costa Rican cities as well. Our coverage doesn’t stop there. We ship to over 220 countries around the globe, including Nicaragua, Panama, Mexico, Brazil, Belize, El Salvador and Guatemala. How Much Does it Cost to Ship from the USA to Costa Rica? Answer: Much less than you probably think. We reduce costs by working with FedEx, UPS, DHL and USPS to secure discounted shipping rates for you. We offer MyUS TruePrice where we charge based on parcel weight only, not weight PLUS parcel size (dimensional weight), unlike other companies. MyUS also never charges airplane fuel fees and we consolidate and repackage multiple packages for free. This adds up to an average $400 savings in shipping every year for our members. Plus, our Premium members save an extra 20% on every shipment. Get a shipping quote right now using our free shipping calculator at the top of this page. How Fast Can You Receive Your Shipments? We know you'd like to receive your US goods as quickly as possible. That's why we always offer fast and reliable shipping options. When you want your goods fast, we recommend an express shipping option that can have your merchandise delivered in as little as 2 to 4 business days. If you would like to save a little more on delivery, economy shipping is a cheaper delivery option that is just as reliable and takes only 5 to 8 business days. For the full list of items banned from import to CRI, visit their government’s customs website. MyUS is happy to assist you with the needed permits, paperwork and proper packaging to ensure safe and legal shipping of restricted or even dangerous goods. If you’re excited to start shopping the stores you want without shipping restrictions, join MyUS today. We'll deliver all the American clothing, makeup, electronics and baby products you can buy to your door - and at a fraction of the cost of traditional shipping methods.